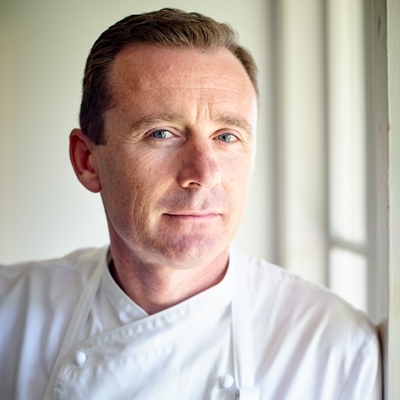 "I’m almost pathologically curious and I have absorbed as much as possible of the Catalan lifestyle, culture and language, including the unique local cuisine. Today, I’m sure there is no paradise. God lives here!” ~ Stephan Mitsch. 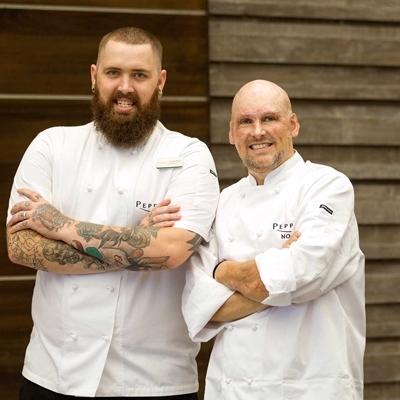 Transporting readers to the coast, artwork, bustling avenues and gothic lanes of Spain’s Catalonia region, embark on a culinary journey with Stephan Mitsch in his latest cookbook Barcelona. A resident of Barcelona since 2000, Stephan works as a tourist guide part-time, focusing on the culinary specialties of his favourite city, and has written several books and travel guides about the area. 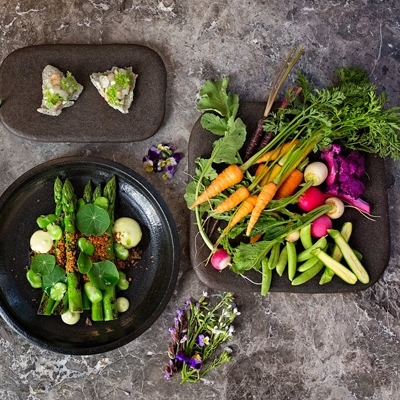 His latest publication offers up 120 authentic recipes of Catalan fare, from the rustic wine cellars, hidden kitchens and stylish tapas bars at the heart of this cult city. In 2016 more than 32 million tourists visited Barcelona, making it one of the most popular European destinations and a magnet for gastronomy gurus. 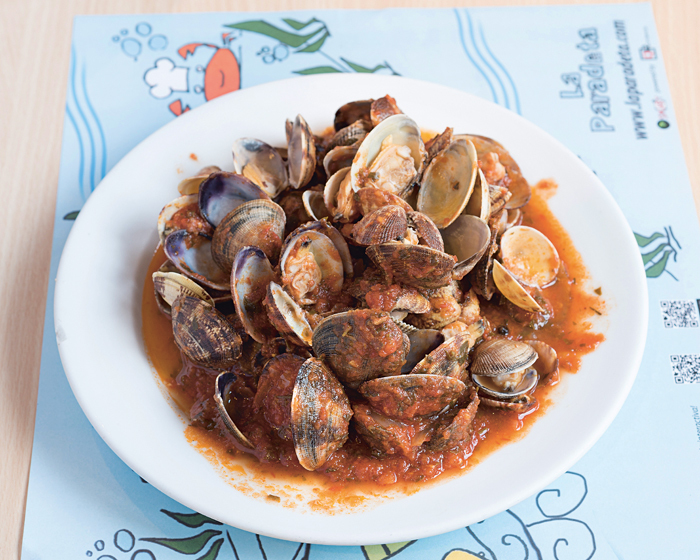 Stephan’s recipes are ideal for the weekend Chef and those suffering from post-holiday nostalgia, such as clams in a hearty sauce of tomato, garlic, onion, sweet paprika, bay leaves and dried red chilli. Clams are a delicacy available all year round and virtually all restaurants in Barcelona serve this simple, yet entirely delicious dish on their menus. Stephan notes that fresh clams should be cleaned in salt water before cooking. Catalonians eat a lot of duck and the nearby Penedes region produces excellent poultry, ideal for dishes such as roast duck with prunes, pine nuts and a hint of cinnamon. 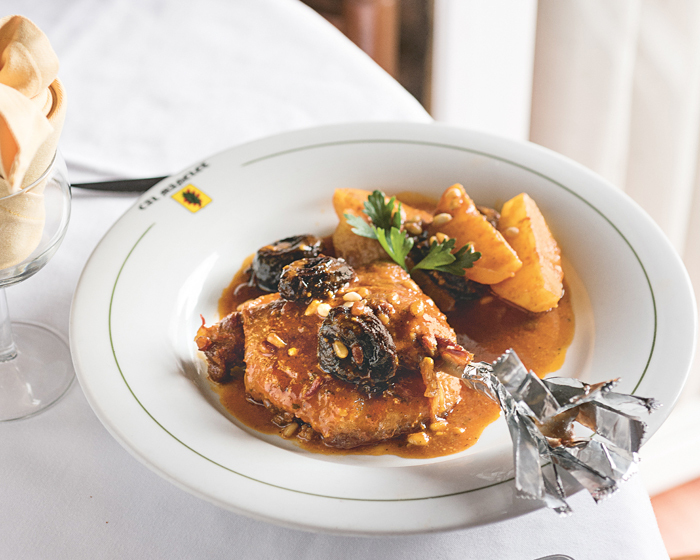 While the ingredients may seem festive, this is a meal that can be served at any time of the year, with white wine and Cognac adding to the rich flavours of the sauce. 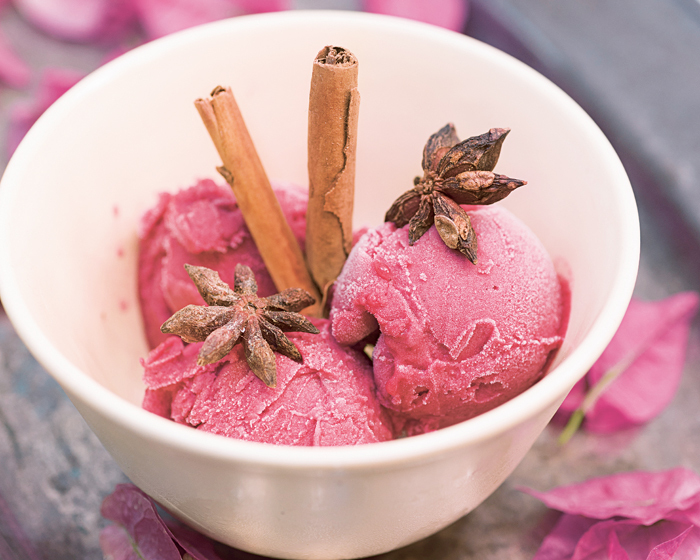 Spain is blessed with an abundance of vegetable and fruit growing regions, such as the fertile Ebro Valley which produces an excellent variety of plums, often transformed into a beautifully coloured and refreshing plum sorbet. 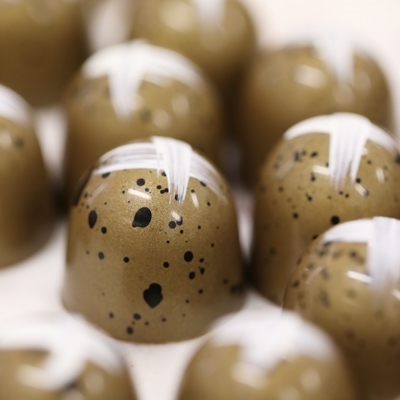 Garnished with star anise, this palate cleansing dessert delivers a hit of red wine and cinnamon. Stunning food and travel photography from Arnold Pöschl make this a go-to cookbook to capture the spirit and culture of Catalonia, along with Stephan’s insights into living in the metropolis that is Barcelona! 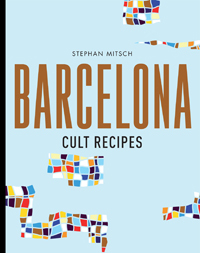 Images and recipes from Barcelona Cult Recipes by Stephan Mitsch, Murdoch Books, RRP $49.99 Photography by Arnold Pöschl.